If you have plans to do a major construction project on your home, such as building a home addition or finishing your basement, it is critical that you first make a trip down to your local town hall and pull the necessary building permits. Not pulling permits for a home construction project is fraught with legal issues and expensive fines by the town, and quite possibly the state. 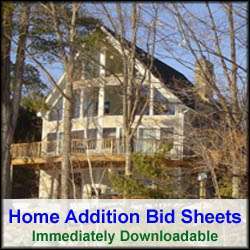 Moreover, all of the money you invested in the home construction project may end up being wasted. 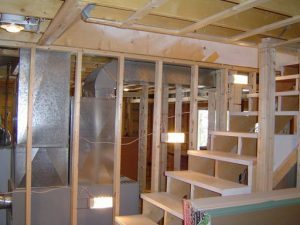 So regardless of the fact that you may be a skilled carpenter or an experienced DIY’er, do not starting excavating for a home addition foundation or framing basement walls without first pulling permits. Towns and cities are more frequently going after and fining homeowners who have started a construction project on their home, who have not first pulled the necessary permits. They are doing so not just to make a few bucks off of the homeowners in permitting fees, but to protect the homeowner and themselves from possible liability expenses down the road. If, for example, a court finds that a homeowner did a major construction project on a home that someone was later injured in, and that there was no record of the requisite building permits issued by the municipality, the homeowner and the town could face major penalties. Also, although municipalities may not be looking to make a few bucks off of a homeowner in building permit fees, they are interested in maximizing the amount of property taxes than can collect from the home. By not notifying the municipality of your major home remodeling plans, a homeowner is “cheating” the town or city of additional revenues. With municipalities’ appetites for spending increasingly rising, they now see it as a major offense when a homeowner is not making them aware of future potential revenue in the form of additional property taxes. Also, if you don’t tell your town or city of your building plans, be assured your neighbors will. If not for simply a big brother mentality, then out of pure jealousy, they will feel compelled to notify the local authorities of your endeavors. It is also important to keep in mind that besides receiving a cease and desist letter from the town, if you begin a home remodeling project without pulling permits, you may also receive a letter stating to return the home to its original state. Returning a home to its original state means having to tear down the construction work performed to date on the addition or remodel. In defense of the municipalities, building codes were put in place to protect the occupants of a residence. Prior to federal, state, and local building codes, house fires and other home construction related accidents were much more prevalent. Prior to the advent of building codes, it wasn’t uncommon for homes to be framed so poorly that they risked collapse under only moderate weather related conditions. In addition, electrical fires caused by shoddy electrical work in the home were common occurrences. By having knowledgeable building inspectors periodically visit and inspect a home, or home remodeling project, during its construction, they can ensure the work is performed to code and meets all safety requirements. It is also important to keep in mind that building codes help to protect your investment in your home. And that by having construction permits, and eventually an occupancy permit, you have formal documentation proving to future buyers of your home that it was constructed properly. If you attempt to sell a home that had major home construction work done on it, such as building a home addition, you may run into problems selling the home down the road if the necessary permits were not pulled for it. You may find yourself having to bring the home construction project up to code before it can be sold. Retrofitting an existing home addition or remodeling project to meet code is an expensive and timely undertaking. Another advantage of pulling permits for your home addition, or other major construction project, is that you get nearly free oversight of your project. By having the building inspector come out to your jobsite periodically, they can help to ensure you that your home is being built to code, and to some extent, to the architect’s blueprints. Consequently, as a homeowner, you should almost consider the building inspector as a partner in the construction of your home addition or remodel. In the end, all they are really doing is helping to protect your safety and financial investment in your home. The permit process may also require you to use professional and licensed contractors, rather than allowing you to do the work yourself. For example, although you may think you possess the necessary knowledge and skills to electrically wire a house, it is not a wise idea to do so for liability reasons as previously mentioned. And again, the cost of getting caught without having first pulled the permit can be exorbitant. For some cases, such as the case of electrical or plumbing work, your contractor may have to go down to your local town hall and file for the requisite permits. In other cases, the homeowner may be able to pull certain permits him or herself. To conclude, not pulling building permits is foolish and will most likely end up costing you a lot more money in the end, than if you had simply pulled the permits and played by the book in the first place. The permit process also ensures that your home construction work is done to building codes, and thus should add a level of comfort, both from a personal safety standpoint and a financial standpoint.